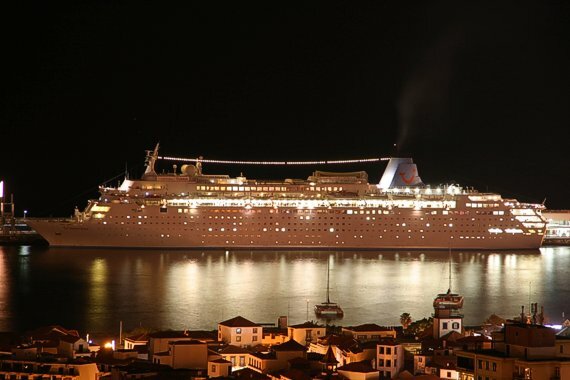 The Thomson Celebration cruise ship is one of the prominent ships for cruises on the Mediterranean, Black Sea and The Red Sea. The theme of the ship is luxurious indulgent and this soon becomes apparent when you tour the deck, visit the great spa or just visiting your cabin. When it comes to the cabins, your accommodation on board the Thomson Celebration there are four options to choose from and these range from a Standard Cabin to a Suite. The standard cabins can either be on the inside or outside of the ship with those on the outside enjoying sea views. All of the cabins have the basics you would expect such as air conditioning, a queen or two single beds and an ensuite bathroom with increases in space in the deluxe cabins and suites. The suites have a king size bed along with a lounge area which has a sofa bed for a third guest in the room. When it comes to a cruise the actual on ship amenities will always be important as you spend so much time on board between docking and Thomson Celebration has it all! Food and drink can be found in the five bars and three restaurants which offer both buffet and waiter service options on an a la carte menu. There are two dining events each week, the Gala Night which is a cocktail party and dinner so dress to impress and the Buffet Magnifique which puts an entertaining spin on food with a buffet, fruits and treats. The Thomson Celebration has a busy entertainment schedule with events held each night across the lounges and bars, these include guest acts, live music from bands, jazz and classical musicians. For those wanting a more fun range of activities on bar holds karaoke nights and a range of games! If music isn’t for you then there is an on board cinema, nightclub and casino. During the day there are a range of things to do available in the spa, sports deck and Kidzone club. I was on the Thomson Celebration in 2011 to the Middle East with my husband and found it to be a pleasant experience. The ship was recently refurbished so everything was clean and tidy and the ship as a whole really caters towards the British passengers and the onboard currency is conveniently the pound. I would travel on the Thomson Celebration again but try out some of the other destinations on offer. The Thompson Celebration is a great mid sized cruise ship, not as big as some of the other liners I have travelled on but definitely spacious with a more relaxed tone. The food is great and I would definitely suggest you book at least one night in the Zilli Restaurant, although there is an additional charge it is fantastic value and you will not regret it! Having returned from a (first time) cruise to The Mediterranean on the Celebration I cannot wait to return! The cruise itinerary takes you through some beautiful sights and ports and while on board there is so much to do you can easily lose track of time! The itinerary we went on was called “Crimean Discovery” and I can really recommend it for anyone that likes history (and sunshine!). Sevastopol was a great port of call, The Panorama is something you just have to see and experience. Istanbul was another highlight, definitely somewhere I can imagine going back to and staying longer. 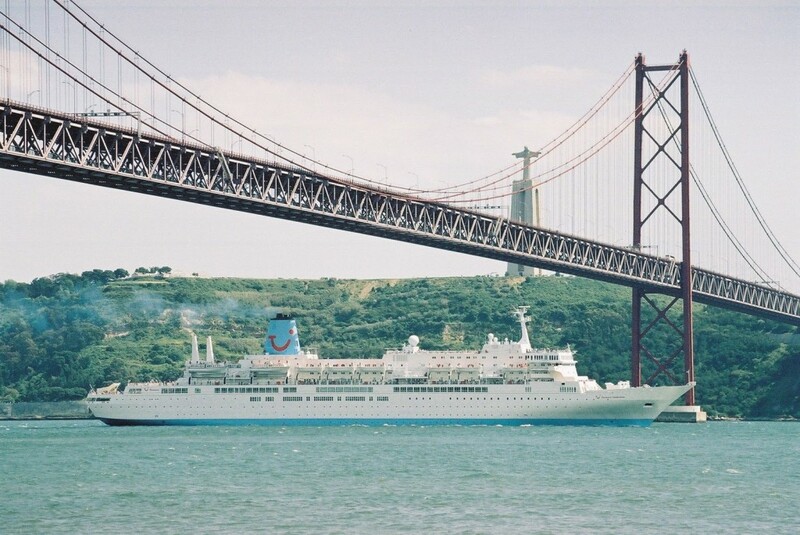 The service onboard Thomson Celebration is better than anything we have enjoyed when staying in Thomson’s “Gold” or “Platinum” hotels and we are very keen to book another Thomson cruise for our next holiday. Who wrote this review of Thomson Celebration? It’s nonsense! We have just recently returned from weeks on this ship, visiting the Caribbean and making a transatlantic crossing to Tenerife. The experience was the worst we’ve had over many years of taking cruise holidays with many different companies. The cabin was dated, no fridge, electric sockets hanging off the wall in the shower area and chipped, cracked and stained laminated surfaces and the porthole is too far into the bulkhead to look out of. The dining experiences are good – but not if you happen to have any special diet requirements. My partner is vegan and has said he is probably the only person to weigh less at the end of a cruise holiday, because there was nothing for him to eat on board. The small theatre smelled of mouldy clothes in an old wardrobe. The entertainment was sometimes good, but mostly Butlins style quizzes and games. This was a themed cruise (Motown & Soul), but of our 12 days cruising we only had 3 evenings when the theme was actually involved in theatre or deck entertainment presentations. But the worst of this trip was the appalling inconsiderate and unprofessional attitude of Thomson, who decided to undertake routine maintenance while crossing the Atlantic, closing off entire decks and removing sunbeds, tables and chairs. This meant there were insufficient sunbeds or tables for the number of guests trapped on board. Had they undertaken the maintenance while visiting the Caribbean, many passengers would have been off the ship on excursions, but doing it while everyone was trapped on board caused chaos as people were unceremoniously evicted from their relaxation spots. The ship is old and needs scrapping. It would have been bearable, were it not for the extremely poor reception staff, who merely handed out complaint forms, saying we would need to hand them to Thomson when we got home. This of course would be after the holiday was over, so far too late to have any chance of enjoying the holiday. Oh and one more thing … if you have been told the twin beds in cabins can be moved together to form a double, don’t believe it. The beds are bolted down to the floor on opposite sides of the cabin, as a honeymoon couple discovered – as indeed, did we. All in all, an expensive 3-star experience … and nothing like the “indulgent luxury” we were anticipating. While I have nothing but praise for the members of the crew of the Celebration who go out of their way to please, the ship itself is tired, uncomfortable and ready for the scrap yard. The American chef thinks he is catering for a wagon train and has little idea of how to present food with ill preserved vegetable, and very over cooked meats.